The historic beaches of Cape Cod are a great year-round escape for travelers of every kind. 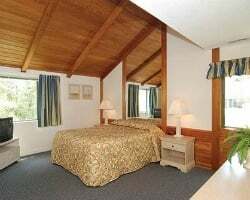 SellMyTimeshareNow.com can find you great deals on vacation homes in Mashpee at the Southcape Resort and Club for up to 70% off what the developer is asking for! What’s My Southcape Resort and Club Timeshare Worth? 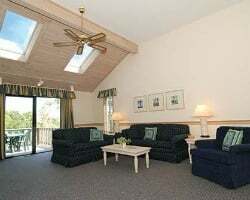 In the quaint New England beach community of Cape Cod, Southcape Resort and Club stands above the rest with its lovely nautical atmosphere, close proximity to the ocean, and resort amenities and accommodations which will help maximize your relaxation levels. 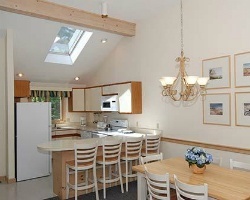 An adventure is always waiting for you with every sunrise, such as fishing or boating on the Nantucket Sound, hitting the links at one of the lovely nearby golf courses, or embarking on a shopping spree at Mashpee Commons. Take a romantic walk through the marshes' winding trails and along the shoreline or gather the family for a trip out to Martha’s Vineyard for a one-of-a-kind dining experience with fresh New England seafood. When you’ve finished your adventures for the day, retreat back to your South Cape Resort timeshare for an incredible vacation experience. These wonderful, two story condo-style units feature accommodations like a wood burning fireplace, a patio area with barbecue grills, and your own personal jacuzzi to keep you comfortable and relaxed during your escape from the everyday grind. Choose between the Ranch or Townhouse units for your lodgings. Southcape Resort and Club also offers “orientation meetings" on Sunday mornings which provide informative discussions about the local area, Cape Cod, and the island of Martha’s Vineyard and Nantucket. If you think that Southcape Resort and Club is the right destination for your next great vacation, call our Southcape Resort timeshare resale specialists at 1-877-815-4227 or fill out the form on the right for more information. Avoid paying more than the property is worth with hidden fees and commission charges. When you buy a Southcape Resort timeshare resale, you’re purchasing your property directly from the current owner at a fair price evaluated in relation to the current trends of the secondary market. This transaction could save you thousands of dollars which you can put towards optimizing your vacation activities. Choose between a fixed or floating week, adhering to your specific vacation flexibilities, whether you want to return the same time every year or you'd prefer a little more flexibility. Weeks can be used annually and floating weeks apply to a variety of seasons, including Red, the season with the highest demand. Enjoy all of the wonderful ownership perks of a Festiva Resorts ownership when you purchase a Southcape Resort timeshare resale. The resort is part of Festiva’s impressive catalog of top notch resorts all over North America and the Caribbean. When you become an owner, you will have access to Festiva points, which you can use towards the brand’s internal timeshare exchange program, RTX Exchange. You will also automatically become enrolled into the Festiva Adventure Club program, which gives you access to fantastic benefits including discounts on travel and vacation products. Southcape Resort and Club timeshare owners also gain an incredible perk, having the option to purchase a membership to either (or both) of the two leading external timeshare exchange companies in the industry, RCI and Interval International. Both feature thousands of resorts in dozens of countries around the globe. Simply submit your timeshare into the exchange pool and you’ll be able to access a number of great timeshare locations. Southcape Resort and Club is an RCI Silver Crown Resort and an Interval International Affiliated Resort. Stay active on the Southcape Resort’s indoor or outdoor tennis courts or challenge a loved one to a game of shuffleboard. Southcape also features an indoor and outdoor pool so you can take a dip regardless of the season you’re visiting. Have a packed lunch at the picnic tables while the kids enjoy the resort’s playground area. The resort is also renowned for it's extremely friendly service staff who will be glad to help you with any questions or concerns that might arise. Don’t forget to check out some of the area’s most defining attractions, including the number of beautifully constructed lighthouses and opportunities for whale watching excursions. The Cape also has plenty of museums in the area including the Sandwich Glass Museum, the JFK Museum in Hyannis, and the Whydah Pirates Museum in Yarmouth. Already Own at Southcape Resort and Club?